Ann Curry to Headline AAJA Gala in N.Y.
You are at:Home»English»Life & Arts»Film & TV»Ann Curry to Headline AAJA Gala in N.Y. 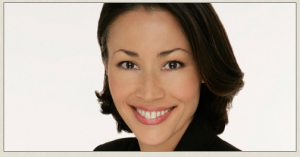 The Asian American Journalists Association has announced that Ann Curry will be the keynote speaker at AAJA’s gala and awards banquet in August during the National Convention in New York. Many know Curry from her time serving as co-anchor of “Today” from June 2011 to June 2012 and as news anchor from March 1997 to June 2011, and as the anchor of “Dateline NBC” from May 2005 to September 2011. Many in AAJA also know Curry as a source of inspiration and pride for her prominence in television and the strength of her journalism, especially as she has sought out and brought to light underreported stories from around the world. Curry has conducted numerous exclusive interviews with world leaders and dignitaries, including three notable discussions with the Dalai Lama, sitting down with former Pakistan Prime Minister Benazir Bhutto just two months before her assassination in December 2007, and the first-ever behind-the-scenes access to the daily schedule of Iranian President Mahmoud Ahmadinejad in September 2011. She also was one of the few network anchors to travel to Japan after the earthquake and tsunami of March 2011. For more information on the convention, which will be held Aug. 21 to 24 at the Hilton New York, visit www.aaja.org/aaja2013/.